As a commuter who spends between 3-4 hours a day on a train or bus getting to and from work, I have rigged my phone to be the perfect entertainment device while in transit. From Instagram and Facebook, to magazines downloaded to my Texture app, to mindless games and guided meditation, there is always something on hand to keep me occupied. Here are some great podcasts for anyone who may be looking for something new to binge. First up is Travelouge, the travel podcast by Condé Nast Traveler, which is geared towards the experienced traveler, but can also be easily understood and enjoyed by travel newbies. Usually made up of a panel of Traveler editors and contributors, the podcast spends a half hour every Friday talking about a wide variety of travel topics, from how to get the best deal on a rental car or international flight to the best places to visit in London that aren't tourist traps and discussions about the latest travel news. The editors are clearly smart and very experienced travelers, but they are personable and sound more like you're having a conversation with friends at a dinner party instead of a bunch of stuffy editors talking down to you about all of the things they know better than you. It will get you excited about traveling the world, even if you don't have a vacation planned, and I always find myself jotting down resources that I've never heard of before or Googling new places every time I tune in. Travelouge is a perfect combination of Traveler editorial content and laid back, fun, and educational conversations that every travel enthusiast will love listening in on. Listening to an episode of Travel with Rick Steves is like listening to NPR, if NPR only focused on travel news, insider travel tips, and interviews with interesting people from around the world. Rick Steves' calm tone could put you to sleep if you let it, but his podcast topics are too fascinating to snooze through! Each podcast is about an hour long, with 2-3 segments about anything from talking to an astronaut about traveling into space, talking to a travel writer who vacationed in North Korea, and even panels with tour guides from different European countries to discuss their holidays, local customs, travel tips, and even the state of their politics. Travel with Rick Steves is a more than a travel podcast—it's a podcast about the world. You can tell by the diverse programming that he has on his show that Rick Steves considers travelers to be citizens of the world, and that while it is both fun and important to talk about travel, travel tips, and fun places to visit, it is just as important to learn about what life is like for people in other countries, how they live day to day, and the joys and struggles other countries experience. It is probably one of the most well rounded travel podcasts on the air right now. Jessica Matlin and Jennifer Goldstein, beauty editors at magazines in NYC, host Fat Mascara, a weekly podcast about all things related to the beauty industry. Each week, Matlin and Goldstein break down news from the beauty world, talk about recent beauty launches they've attended or press trips they've been on, discuss the merits of new skincare studies, and talk about their own beauty obsession and struggles. Then, they sit down with a special guest, ranging from influencers, to brand founders, to dermatologists, to freaking Christian Louboutin (!! ), to discuss their work and how they got their start in the beauty industry, get insider tips, and get a tour through their make up bag (a requirement of almost every guest). As a makeup hoarder and beauty-obsessed listener myself, I love getting their insider insights into new products they they are loving or are totally over hyped, fun press events they've attended, and their discussions about all of the ways the beauty industry effects women's lives. Their interviews with guests are entertaining and informative, and it is great to hear from the sometimes little-known names behind some of the world's biggest brands. Okay, now if you are vehemently against former President Barack Obama or someone who is deeply conservative, this may not be the podcast for you, but for those who learn more towards being liberal Democrats, you'll love it. 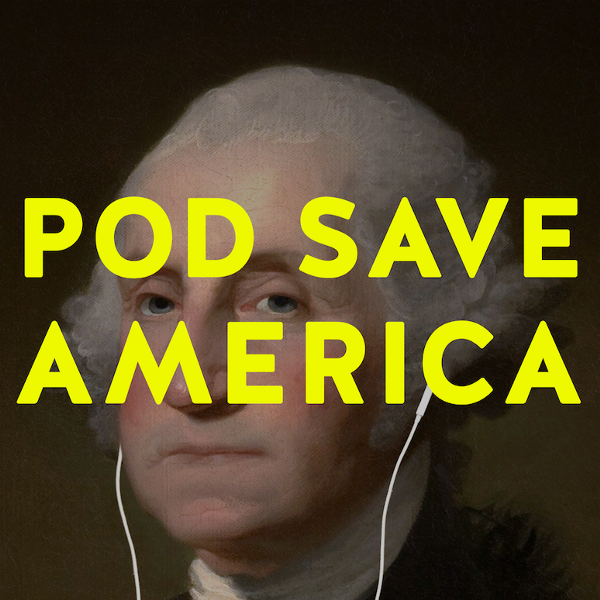 Pod Save America is a podcast created by former Obama White House staffers Jon Favreau, Jon Lovett, Dan Pfeiffer and Tommy Vietor. Two times a week, Favereau and either Lovett, Pfeiffer, Vietor, or a combination of the three (they usually rotate and are hardly on all at once) break down the news of the week. Yes, they discuss their own personal opinions, but they make it engaging by explaining how different departments or procedures of government work in order to highlight how normal or not normal a piece of news actually is, they dissect how the media is reporting the news, and they highlight ways for people to get involved with government if they feel so inclined, like highlighting charities and organizations that need volunteers or donations, or what to say to your local congress person at a town hall or over the phone. While very much a Democrat/Independent-leaning program, it is more of a call to action podcast than just complaining about the news, and their mission is to help get more people informed on the news, involved in government, and educated on the issues that effect the country and the world. If you are feeling political lately and looking for a humorous news program that pushes you to do more than just listen, you need some Pod Save America in your life. 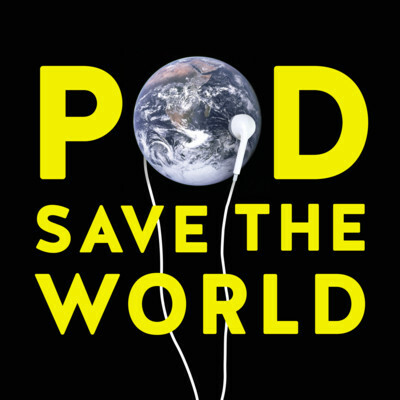 Tommy Vietor, former NSC spokesman for President Obama and co-host of Pod Save America, goes solo on Pod Save The World, his podcast about foreign policy where he interviews important current and former government officials, prominent reporters, and experts to make foreign policy more understandable for the masses. Once a week, Vietor and his guest discuss a main topic, like relations with North Korea, the Syrian Civil War, or the functions of the State Department, breaking down these complex and sometimes overwhelming topics in an easy-to-understand way that doesn't feel like sitting in a college lecture or being talked down to. While it is very obvious to listeners where Vietor stands politically, he and his guests talk about foreign policy as a bi-partisan issue with the goal of giving listeners the full facts of every topic so they can make decisions and ask questions of their own, as well as give them some ideas on how to get involved in an issue that they care about or needs attention. In a world were the media discusses foreign policy in a way that can make the average American feel out of the loop, Pod Save The World is arming the listeners with critical information that will make them better voters, smarter citizens of the United States, and empowered citizens of the world. I am of the mindset that Pretty Little Liars has gone on for way too long. They could have wrapped up this show a few seasons ago and been fine. I even stopped watching for a while, but discovering Bros Watch PLL Too made me fall back into watching regularly. Benjamin Light and Marco Sparks, the hosts of the podcast, are two bros watching PLL through the lens of TV critics, and it is hilarious to listen to. They act out each episode as they are discussing it, so sometimes I don't even watch the real episode at all; I just tune into their podcast. From a complete analysis of every outfit the characters wear on the show, to acting out the scenes with different voices for each character, to indulging in crazy fan theories, the shows last about 2-3 hours long, but it is highly entertaining the entire time. If you are a huge PLL fan looking to geek out, Bros Watch PLL Too is the podcast for you, but you better tune in soon, because there are only a few episodes left of PLL before the series ends! 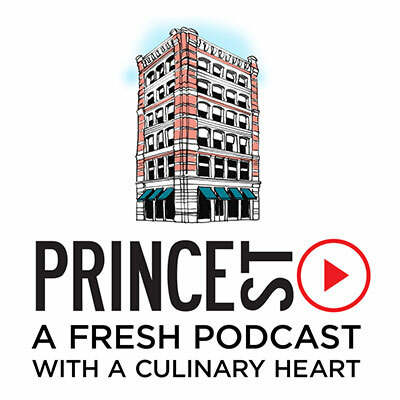 Foodies of all kinds will love Prince Street, a food and cooking podcast from NYC's favorite artisan market, Dean & DeLuca. Rather than just interviewing the city's most famous chefs and talking about the local food scene, this once a month podcast breaks down each episode into categories, like Identity, Community, Holiday, and Risk. Each segment within the episode revolves around the central theme, like talking to the city's most prominent chefs about their favorite holiday cooking traditions for the Holiday episode or talking to a food writer about their recent story about how politicians use food to manipulate their image for the Identity episode. Using these simple, one word themes helps to take the listeners on a journey through the podcast and really relate to and experience the material, instead of just spending an entire program interviewing someone famous about how they became so famous. It also makes the subjects they interview more interesting, because you can tell that they are being challenged and answering questions that reveal more about who they are as a person relating to food, instead of talking about how they prepare food as a career. Prince Street is truly a unique podcast that will delight New York foodies and global foodies alike. If you're looking to laugh through your entire commute, Anna Faris is Unqualified is the podcast you need. Anna Faris, an actress known for her roles in The House Bunny and Mom on CBS, and Sim Sarna, a film producer, host a relationship podcast where they invite a celebrity guest (past guests have included Lance Bass, Kristen Chenoweth, Sharon Stone, Stan Lee, Rupaul, Milo Ventimiglia, and more) onto the show to talk about relationships, play a few games like Deal Breakers (where she makes up dating scenarios to see what the celebrity guest would consider a deal breaker) or they act out a scene where Faris is a crazy date and they see how long the guest can last on said date, and take calls from listeners to answer their relationship or general life questions. Faris is able to get her guests to open up in ways you won't hear during TV and radio interviews (probably because she is a fellow celebrity and her podcast studio is her dining room table), which makes for enjoyable interviews that are sure to have you cracking up. I will say that she definitely is unqualified to give people advice, because sometimes the suggestions she and her guests give to callers are not the best, but regardless it's interesting to listen to what they come up with. One of the annoyances about being constantly in commuting mode is that you don't have a whole lot of time to watch the news in the morning, so throughout the day you can feel a bit out of place when people are talking about current events. Up First is NPR's morning news podcast that breaks down all of the top stories of the day and breaking news from the night before into just 10 minutes, so you can get all of news quickly. From breaking stories reported by NPR political and world policy reporters to snippets from the nightly news shows, you'll be able to hold your own in water cooler conversations about politics and current events throughout the day.